PROPERTY OVERVIEW >> $529pw -- Price incl. 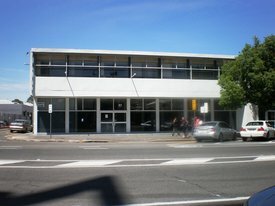 Award-winning coworking space in Adelaide CBD providing a curated community, regular events for personal and professional growth, and access to coworking locations across Australia. Rent a coworking desk or serviced office, the choice is yours, and receive a one of a kind working experience in return! 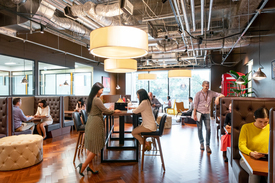 Designed to become the second home of forward-thinking professionals, this workspace mingles relaxation and social zones with meeting rooms and office spaces so you can get fresh motivation and lightbulb ideas more often. Young businesses grow faster in supportive and collaborative environments, so tap into the wellness, social and professional events at this coworking space as you work on your passion. 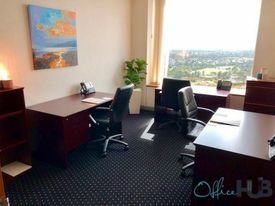 The advertised rate covers your high speed internet, utilities, office signage, a mailable address, hosted welcome desk and 12 hours of free meeting room usage per month, representing incredible value for a vast array of facilities and tools. 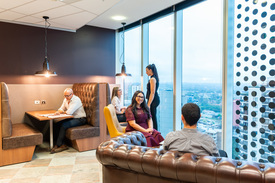 This premier coworking centre was voted Adelaide’s Best Coworking Space of 2018 in the Qantas Business Travel Awards and it can cater for small, large and project teams alike. There is the option to customise an office if a plug-and-play one doesn’t suit you – lodge an enquiry with Office Hub to find out more or simply book a tour of this workspace at a time to suit you! This stunning coworking space is tucked away Peel Street on the doorstep of Adelaide CBD. Cafes, restaurants and independent shops spill into the cute pedestrian-only Peel Street and foodies will love working on one of Adelaide’s best laneways for food and drinks. Hotspots like Peel St, Bread and Bone, Maybe Mae, Clever Little Tailor and La Moka are on your doorstep and you can explore alternative retail shops like the The Comics Shop and The Map Shop. This small but famous street is a fitting home for Adelaide’s movers and shakers, and you’ll enjoy the convenience of mainstream shopping, great restaurants and public transport links just around the corner in Adelaide CBD.